There are lots of good reasons to buy some special bottles of booze right about now. First, there’s Christmas, and who doesn’t like to get the gift of alcohol? (And why not give yourself a little present to help you deal with the in-laws, right?) Then there is of course the good old apocalypse hubbub, and could there be any better reason to drink? If it comes true, you want to go out raging, and if it doesn’t, why not celebrate the fact that we’re still here? And finally, New Year’s Eve brings about the reckless dislodging of Champagne corks. A time-honored tradition to be sure, but once you’ve marked your territory with the sweet spray of bubbly, you’re stuck with a flute full of flat wine that you’ll be sipping when midnight strikes. Go ahead and do that, but let’s get to some serious drinking beforehand. For me, I’m looking for something to drink that’s a little outside of the normal selection. 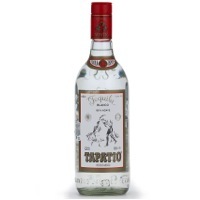 Luckily, Latin America is full of fantastic spirits that can be easily obtained here in Los Angeles for sipping or for making simple, traditional cocktails. Here are my picks to celebrate your holidays in style, while still keeping it on the cheap. ¡Salud, feliz navidad, y feliz año nuevo! 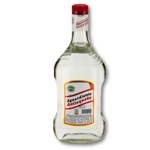 Colombian aguardiente is best enjoyed shooting from tiny plastic shot glasses with water on the side. Take a bottle of this anise-flavored sugar cane alcohol and plunge it in an ice bucket filled with ice water. Pour a round for your friends. Shoot. Take a drink of water. Repeat. We haven’t had much luck keeping authentic cachaça here in L.A., but this brand from Minas Gerais (“the Bordeaux of Brazil”) is hanging tough. 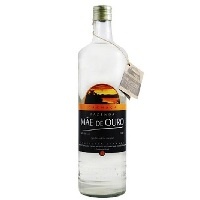 While many cachaça distillers have endeavored to purge this “drink of peasants” of its potency through three distillations, this remains a beverage true to the flavors of Brazil. Full of contrasting citrus, spice, savory, and a lightly sour nose when drunk neat, it also makes an exceptional caipirinha when muddled with lime and sugar. This Peruvian brandy has been around town before Peruvian fever hit the U.S., and was born to mix into pisco sours—a refreshing cocktail to sip with friends before the ball drops. (You didn’t just buy those bitters for decoration did you?) 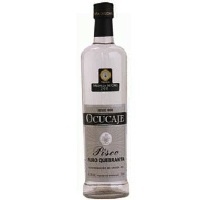 When drunk straight, the pisco has a nutty, tangy flavor and will deal a grappa-strength kick to your face. It doesn’t get easier than rum and coke, which coincidently is the name of the national cocktail of Belize. I recall asking a bartender if it had a special name while I was visiting a bar in Belize City, to which she deadpanned in Belizean Kriol (pigeon English): “Yeah, rum and coke.” The flavors of molasses present in this sweet rum make it the perfect mixer; once you substitute it for your old standby rum, you may never go back. Tequila is definitely the purest path to post-apocalyptic bliss in a glass. And here, there’s no barrel aging needed; it’s all about the taste of agave. 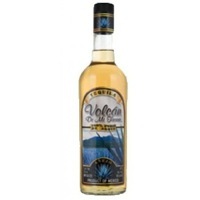 This classic Mexican tequila from the legendary, volcanic soil of Arandas has a light smokiness, bright agave taste, citrus and floral notes. 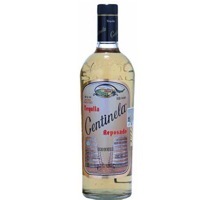 It’s perhaps the purest liquor from south of the border to ever hit the U.S. Slowly sip it from a cognac snifter for maximum pleasure. Another star from Arandas in the tequila highlands, this tequila is rested in oak for up to 8 months with a practice that dates back to 1904. There’s a departure from the natural agave flavors in a reposado, but here you get so much in return—an unbeatable creaminess that rests atop the still present tones of blue agave. The highlands of Jalisco seem to get all the tequila respect these days—and rightfully so—but I subject that this lowland sleeper might be the best tequila in Mexico. 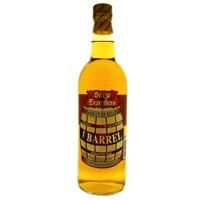 Surely, there isn’t an añejo that’s even close under for under $100. It has layers of spices, minerals, herbs, and wood from spending 18 months in neutral French oak.